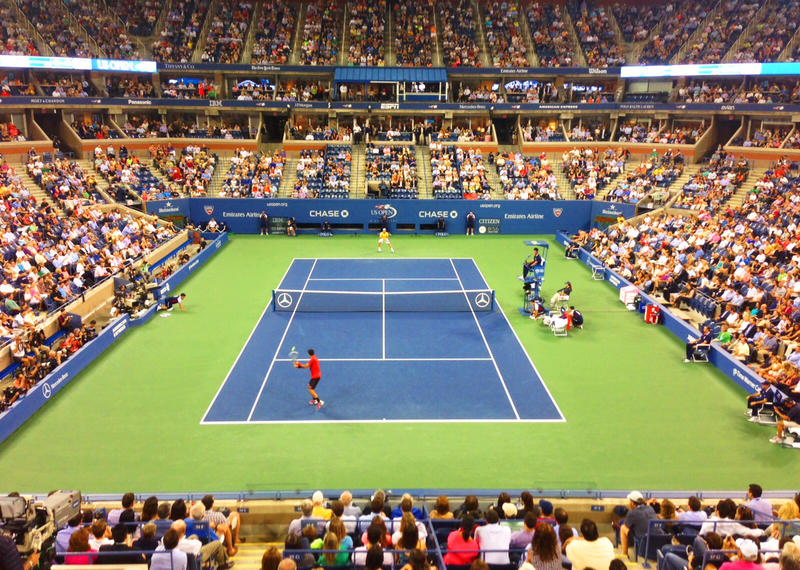 The Resident Tourist: 2013 U.S. Open . . . I love tennis (playing and watching), so I'm always excited when the U.S. Open starts. Even though it technically means the end of summer, it's a great time to be in the city. Monday night Scott surprised me with two box suite tickets to watch Djokovic in the first round of the Open. The match was a quick one (6-1, 6-2, 6-2), but the seats were amazing! We had such fun watching Novak run down every ball, sipping cocktails and munching on chocolate chip cookies. After the guys, we could see that it was going to be another blow out with the girls (6-0, 6-0 Azarenka), so we took a walk around Arthur Ashe Stadium, checking out the shops and stands.